This is a quick snack/light meal literally can be made in under 15 minutes. It's also my daughter's favorite, and was (is) my favorite during my school/college years. 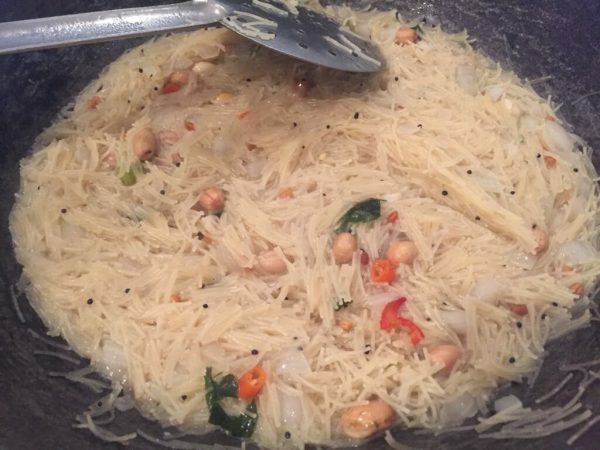 Note: To get fluffy, non-sticky semiya upma, the quantity of water used should be minimum - I have found that the proportion of 1:1 of vermicelli:water usually works, maybe slightly less water would result in an even drier upma, but this works for me. 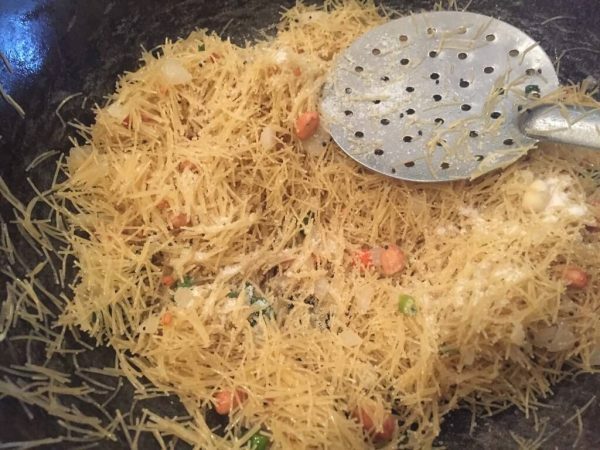 The vermicelli, being thin and broken, will cook quickly. If there is too much water, it will get mushy and soggy. This is one recipe where I would stick to the measurements. At the end of 5 minutes, using the same spoon, give the dish a stir, and there should be no residual water, and the upma is done! Serve with lemon/lime wedges if desired. It's perfect as it is though! 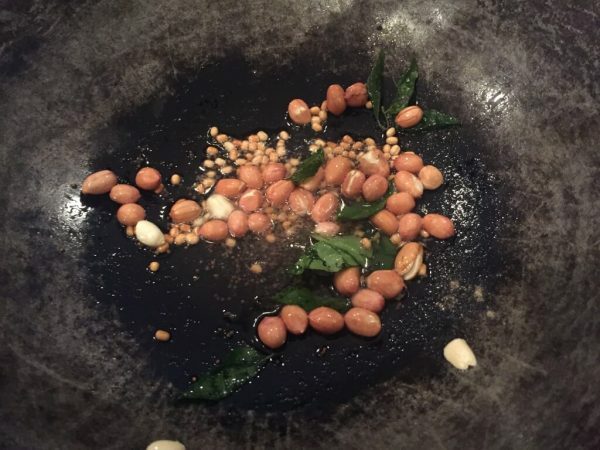 This recipe is my daughter's favorite. When growing up, I didn't have it with peanuts, but have started adding to give it a little protein boost. You may add vegetables such as carrots, peas, beans. If so, cook them partially along with the onions, and add maybe a quarter cup of water extra for the veggies. 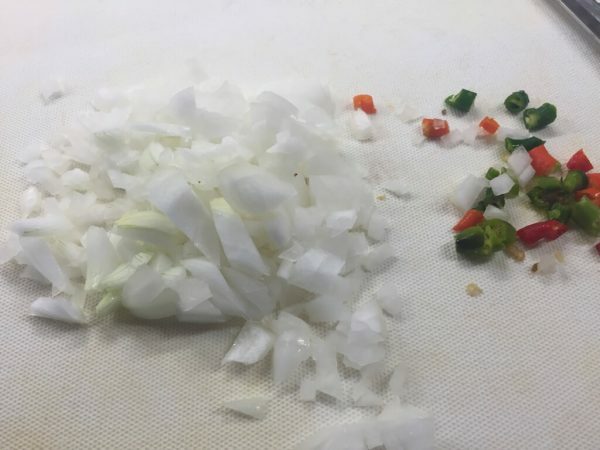 I like mine with just the onions and the chilies and have not tried with vegetables. 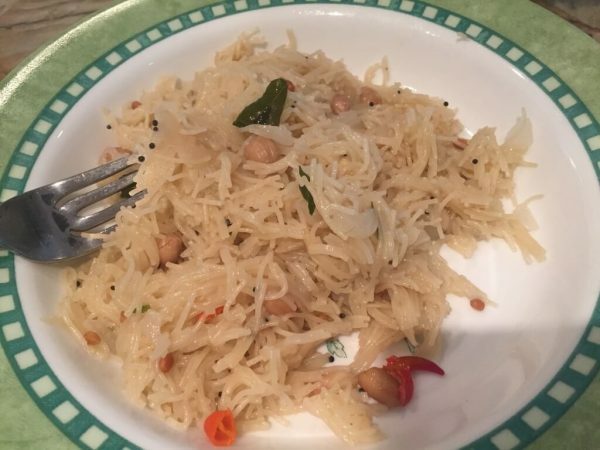 I have also seen variations with ginger garlic paste, and the dish made almost like a biryani/pulao, but I like the simple vanilla version for this dish! I never buy pre-roasted rava or semiya as I would like to control how much and what kind of oil I use, for one; for another, I'm never sure of the shelf life of something that's been cooked in oil. 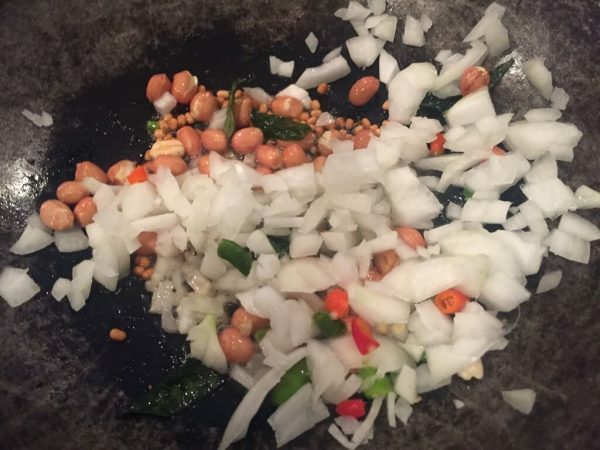 And, it hardly takes any extra time to roast it at home while making the upma fresh.